Chicago's QUADRATIC returns with a genre spanning EP of dancefloor oddities, including a remix from CHRISSY. "Slow Down" is a tempo morphing explosion of classic breaks, hip hop beats and arpeggios. 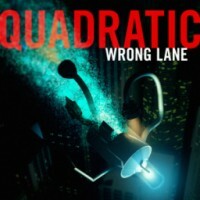 The title track "Wrong Lane" is an ode to the Detroit electro of CYBOTRON and the dangers of long distance driving. Tech-step synths and laconic bleeps fuel the footwork inspired "Sadness Will Last Forever". "Nice it Existed at All" starts with half-time drum n' bass and builds layers of breezy melodies peppered with frenetic breaks. 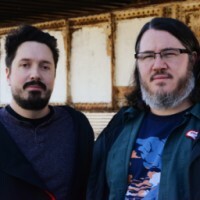 The EP closes out with an early morning house remix of "Wrong Lane" by NIGHT OWL DINER/LOOSE SQUARES impresario CHRISSY (formerly known as MURDERBOT).